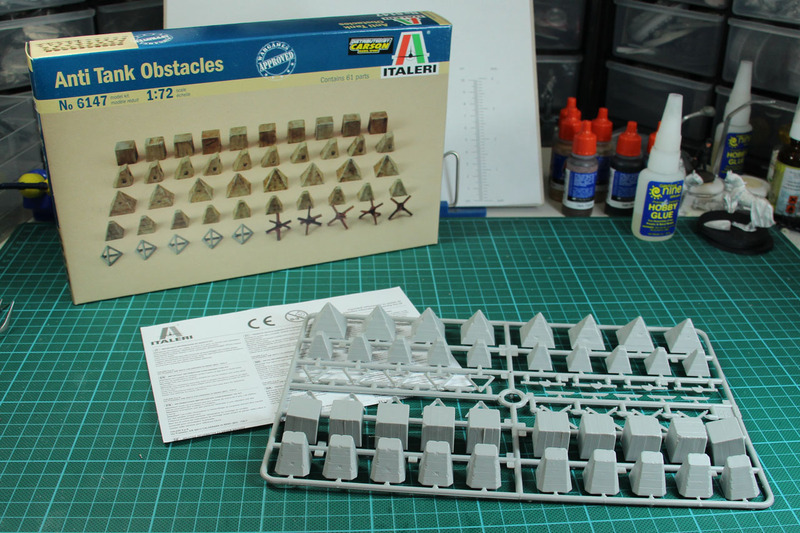 Beside the Games Workshop Terrain i got myself the Italeri terrain. 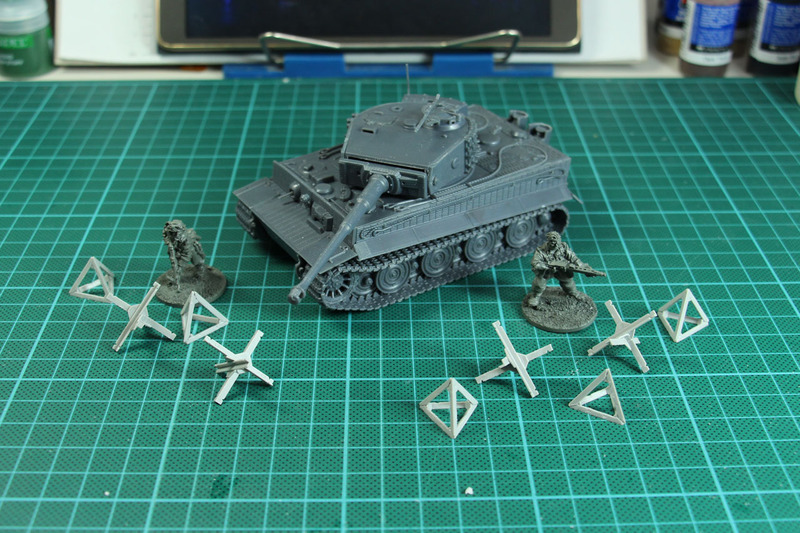 It is 1:72 or 20mm scale, but can be bought via Warlord Games as a repack for 28mm. It is the same, you just pay more for the different packaging. 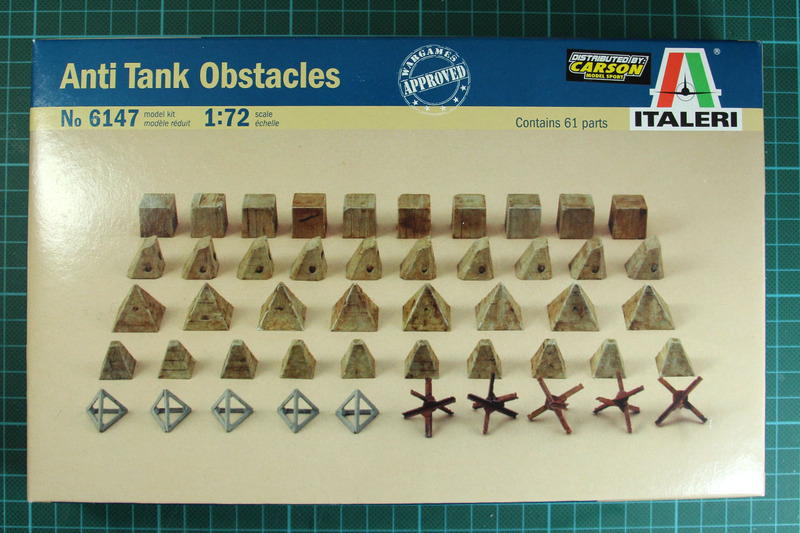 The Anti Tank Obstacles come with a large sprue, containing dragon teeth, some concrete pillars and other tank traps. Some of which you probably know from the World of Tanks maps. 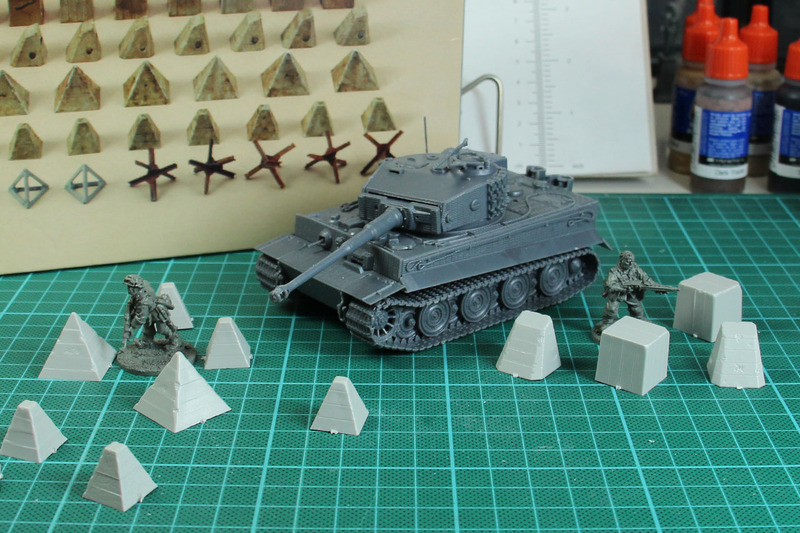 The sprue is nicely filled and the scale works with 28mm as well, as you can see with the Tiger Tank and infantry miniature. 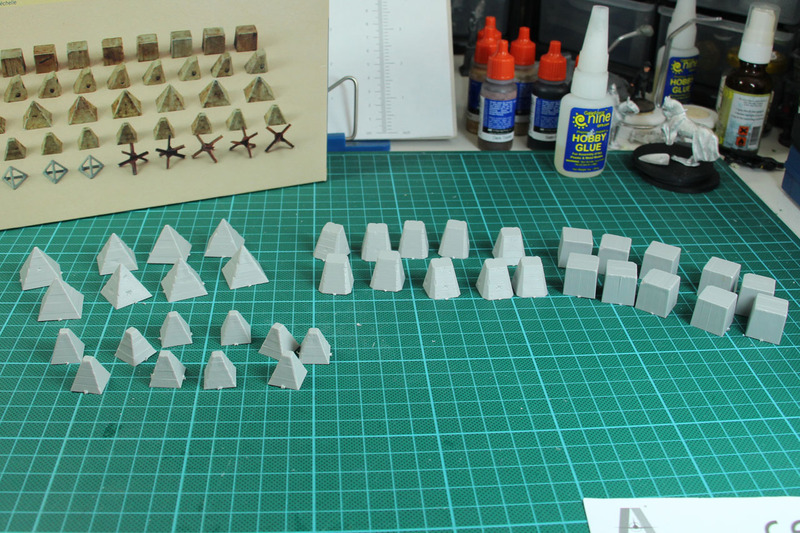 Most of the terrain should be done quickly with a dark grey primer and perhaps 1 or 2 coats of lighter grey dry brush. 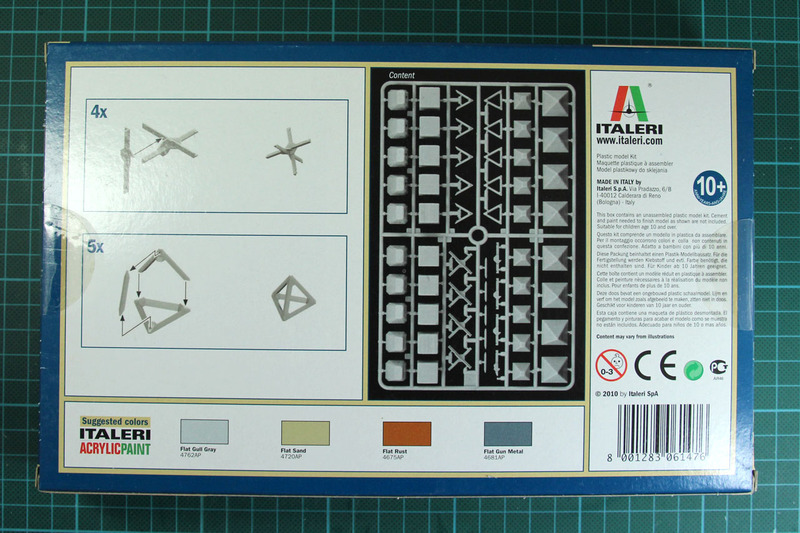 The kit costs 8 Euro, the Warlord Games Re-Pack is 12 GBP (~ 16,50 Euro) more than twice the price, for the same sprue. I got it two times and should be set for mid or larger battles.